Harald Mooij (b. 1974) studied architecture at Delft University of Technology and the Istituto Universitario di Architettura di Venezia (IUAV). He is an architect with ADP Architects in Amsterdam and is involved in various current projects (including housing) both on historical urban sites and in new areas. 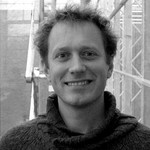 He has been a tutor at Delft University of Technology in the Chair of Architecture and Dwelling since 2004. He writes regularly for professional journals in The Netherlands and abroad, is an editor of DASH and is the author, with Bernard Leupen, of the book Housing Design. A Manual, published in 2008. Developer Huub Smeets responds to questions on current developments in the market for luxury city apartments, including the importance of specific service facilities and the international character of the market. Architect Winka Dubbeldam responds to questions on current developments in the market for luxury city apartments, including the importance of specific service facilities and the international character of the market.